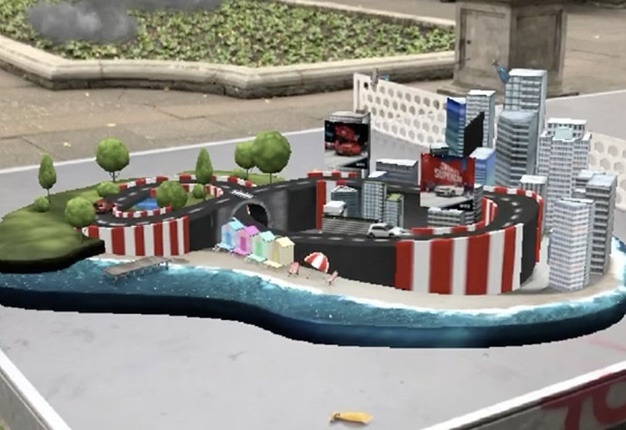 The track is made up of forests, beaches and cities, which users can race the GTI around by tapping and holding on the screen. The longer they hold, the quicker the GTI goes, although they have to be careful not to get carried away around the track’s hairpin corners. Drivers can then go beyond the platform and spread the joy of driving by sharing their results with friends and competing for the best GTI lap time. The social media orientated campaign is rooted in the positive sentiment that surrounds Volkswagen’s GTI models – a family of ‘hot hatch’ cars loved by petrolheads and everyday drivers alike. Tribal found this audience was most successfully reached via Snapchat, and in a collaboration with adam&eveDDB, the companies have teamed up to create a playful campaign that enhances smartphone users’ fond feelings for the GTI, and Volkswagen. The GTI race track, which can be accessed by scrolling through Snapchat’s VR lenses, is available for a month from today. "We’re very excited to see how popular this innovative and fun project proves to be. We know GTI is a much-loved part of Volkswagen’s appeal, and with this great new race track application we can bring the cars to a new generation of fans via their smartphones," said Geraldine Ingham, Head of Marketing at Volkswagen UK. "We are excited to be partnering with Volkswagen to deliver such an innovative AR experience for GTI on Snapchat that has pushed the boundaries of what’s possible," said Ed Couchman, UK General Manager, Snap Inc.
"We wanted to tap into our audience’s feeds in an exciting way like no one has done before," says Jon Cleave, Creative Director, Tribal Worldwide. To access the new GTI lens via Snapchat simply download the app via the Apple App Store or Google Play.